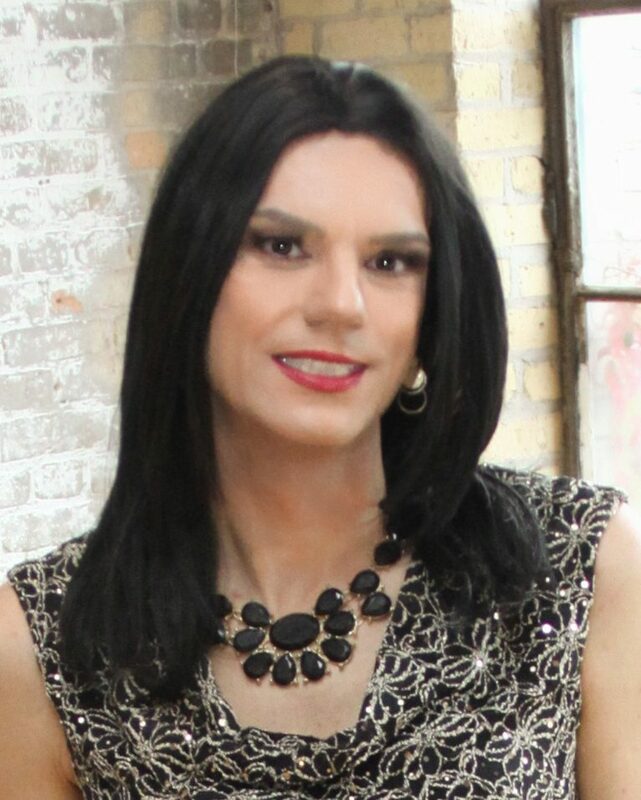 Corrie Dubay is a makeup artist extraordinaire and owner of Femme Makeovers, an amazing transformation studio in Minneapolis. She is a friend and hero to girls everywhere. She is beyond talented and I am lucky to have worked with on photo shoots in the past. Highlight and Contouring: What the hell….why the hell….how the hell….These are all questions I am frequently asked during lessons. I know it can be extremely overwhelming even thinking about adding highlight and contour to your makeup routine. I mean – even I get overwhelmed when I see some of these YouTubers and Instagramers highlight and contouring every inch of their face. It’s one of those things I truly don’t understand…why? Mainly because it’s NOT necessary!!! Those YouTubers and Instagrammers might disagree, but let’s be real here. How many of you have three hours to put your face on before you go out? I surely don’t. Put it on, blend it out and off I freaking go….end of story. So let’s break this down and get on with our nights, yes? First – what is highlighting and contouring? Simply put – it’s how we can restructure or accentuate certain features of our face using light and shadows. Remember these two things: contour (shadow) shades or pushes away, highlight (light) emphasizes or brings forward. Why would I want to highlight and/or contour? For a number of reasons. Let’s say you have a very square jaw line – we can use contouring (or shadows) to soften it and create a more feminine looking jawline. Or – you want your nose to look narrower, a sharper, more pronounced cheek, narrower looking forehead…the list goes on. You can easily do all of that with a little bit of highlighting and contouring. All of this is great, but do I HAVE to contour and highlight? Of course not. You don’t have to do anything. Do what your comfortable with. In fact – I tell people – get efficient with your basics first (beard coverage, foundation, eyes, etc.) before tackling highlighting and contouring. Okay – so how do I do it?? There’s a couple ways you can highlight and contour and achieve similar results. Before you can do that – you need to choose colors. For my contour, I typically like to go several shades (2 – 3) darker than my foundation and always choose a matte – no shimmer. I also like to use something that is very cool-toned. Some people say to use a bronzer as a contour. Technically – yes, you COULD use bronzer. However – a bronzer’s purpose is to warm you up – make you look like you were out in the sun. A true shadow has coolness to it, so many times, using a bronzer as a contour can make your face look dirty, not shadowed. For highlight – I like to stick to a shade or shade and a half lighter than my foundation base (also in a matte form to start). You can over-highlight, making your face look like it’s glowing…but not in a good way!!! Many highlighters have shimmer in them – which is totally fine. We just want to use the shimmer highlighters in specific places (top of the cheek bone, a light touch on the forehead, etc. ), otherwise you may end up looking sweaty or just shiny all over…which is not what we’re after. Back to products….the first (and my personal favorite) is to use a creme or liquid product (in conjunction with your creme or liquid foundation). Start by applying your base (foundation). Before powdering the foundation, apply your highlight and contour and blend out with your sponge or brush. You want to blend in, not away, making sure you don’t have any hard lines between the foundation/contour/highlight. We’re looking for a nice gradient when we’re done. Once blended, set with powder and continue on with your application. I prefer cremes because I can create a very natural looking contour and highlight. The second is to do your foundation and set with powder, then apply your highlight and contour in POWDER form over. Remember – we need to keep like products with like products. For example – if you want to use a powder highlight/contour, you need to be putting it over powder (a powdered creme or liquid foundation). A creme or liquid highlight/contour has to go over a creme or liquid foundation (BEFORE applying powder). If you mix the two or flip back and forth, you can end up having a difficult time blending and run the risk of your foundation cracking/flaking because it got too heavy. I generally use a powder contour and highlight as a finishing touch if I need to bump up my existing creme contour or highlight a touch. Let’s talk about a few of my favorite highlighting/contouring products and then we’ll move on to placement. I really like the Sephora Highlight Lowlight Face Contour Duo. It has both a contour and highlight color in stick form (creme). Application is super easy, blends nicely and is super affordable. I also really like using the Graftobian HD Glamour Creme Hi-Lite Contour palette. It has both highlighting and contouring colors you can mix and blend easily. It comes in a light and dark version depending on your skin tone. LOVE Graftobian!!!! For Powders – I’ve been OBSESSED with Smashbox lately. They have these great little three color highlight/contour palettes that blend like BUTTER when you put them on. I just got the Cali Contour Palette (this has highlight/contour, blush, bronzer and a shimmer highlight – so lots of bang for your buck) and it is my new fave!!! MAC also recently came out with these great highlight and contour palettes. They are six-color palettes available in light/medium or medium/dark depending on your skin tone. Super love these as well. Okay – let’s talk placement. Now as I mentioned before – you can watch videos and tutorials with people going bananas applying highlight and contour. That is not necessary. I suggest you only highlight/contour what you want to emphasize. You want a more pronounced cheek, do the cheeks, you want your nose to appear narrower, do your nose. You can so as little or as much as you want or have time for. Lastly – I want to touch on blush quick. We don’t want to forget our blush. Blush adds the color back into the face we’re missing. It gives us a nice glow we all need – especially this time of year. I like to put the blush on the apples of the cheek and blend up and out. You can check out my tips and tricks on blush application here. Earlier on, I mentioned how I do like using shimmer highlighters but in specific places. I mention blush as well because I like to put my blush on first, blend, then add my shimmer highlight after. I like to apply the shimmer last because it can lose it’s shimmery-ness (?) if I’m putting something matte back over the top. Okay – are your heads spinning yet?? I realize this is a lot of information to take in so if you have ANY questions at all – please ask (I can be reached here)!! I know it seems kind of scary at first but give it some time and practice and you’ll have it down in no time. Alright my darlings – I hope you’ve been well. If you have any questions or want to book a session – holler! !